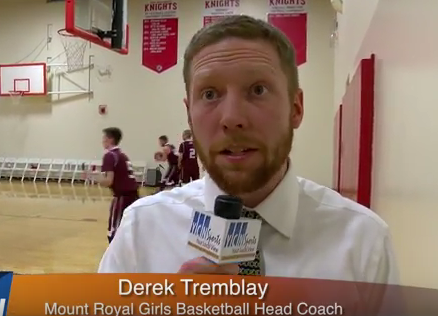 After the Mount Royal girls basketball team beat the Wilton-Lyndeborough Warriors, we caught up with Knights head coach Derek Tremblay to get his take on his team’s win. Let’s listen in. Thanks for talking with us coach and congrats to you and your team on the win and for making a successful transition to the varsity level.